How To Train Your Dragon 2: When Hiccup discovers that a madman is kidnapping dragons to form an army, he and Toothless once again fight to create peace for mankind and dragons. Writer director Dean DeBlois faced an interesting challenge - how would he continue a pretty self-contained story in a way that would make sense, be satisfying, and not feel like they were just trying to cash in on the Dragon brand. I am pleased to report they pulled it off. The events in Dragon 2 felt like a natural continuation of what was established in the first one. 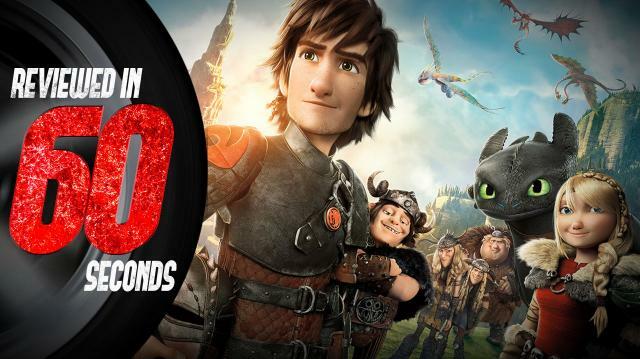 Sure, the Viking village of Berk had made peace with dragonkind, but had Hiccup really changed the whole world? Apparently not. The movie is just as heartwarming and charming as the original, but they really stepped it up with the sheer size of it. The movie is truly epic, and the battles are portrayed at a startling scale that only makes me wish I had seen it in the theater. Dragon 2 is fun, exciting, moving, and sure to leave you furious that you’ll never own your own dragon, so we’re giving it 4.5 fish out of 5. Why fish? See the movie to find out. How to train your dragon 2 is now available on Flixter, iTunes, Vudu, Netflix and Amazon.